Titan Arums (Amorphophallus titanum) have flowers that can be up to 3 metres high and 3 metres in circumference. The plant - from the rainforests of Sumatra and a member of the Arum family - is classed as Vulnerable on the IUCN Red List of Threatened Plants. It has one of the largest flowers in the world; the bloom – correctly, an inflorescence – is green on the outside and bright red inside, with ribbed sides and a frilled edge. 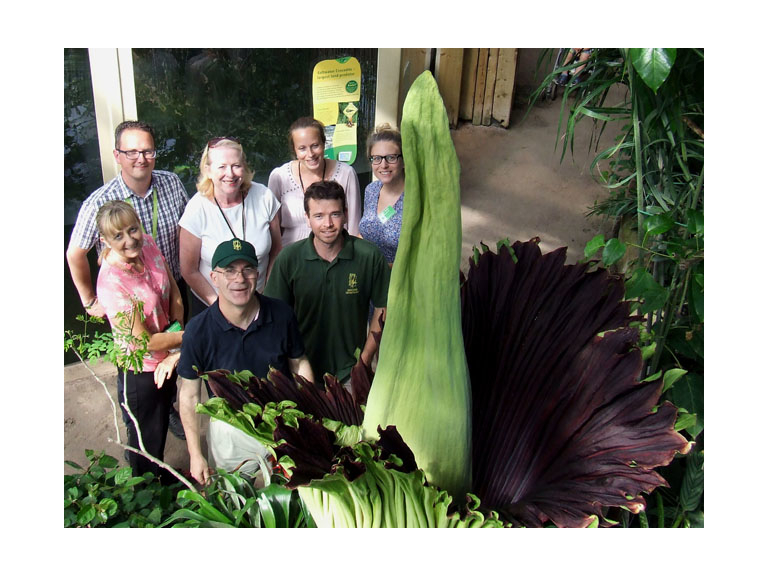 Due to its odour – said to be like rotting meat – it’s known as a carrion flower, and has been dubbed corpse flower or corpse plant. It emits the strong smell at night to attract pollinators. For more information go to www.paigntonzoo.org.uk or ring 0844 474 2222.